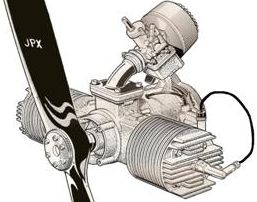 Re: Rotax 185 CDI Conversion...easy! did you ever make any headway on this project? get any parts to fit? Ahhh, No Tyler. Im afraid not. After all that research, reality sets in. I can fix my points very inexpensively and CDI is the very last thing I should put my money into. Its way too easy to get ahead of ones self both mentally AND financially with these Lazairs. Someday I will try it but in the mean time I would recommend looking at the moped world to anyone trying a CDI retrofit. Puch, Tomos, Kreidler, Zundapp, and many more mopeds use all, or some of the same components as the 185 ignition. The bosch flywheels all seem to have the same center stamp that would accept the hubs from 185 flywheel. Its a world of possibilities. Thanks for asking though. I seem to have missed the discussion and I wondered if anyone was still interested. Thanks again to the forum. Im lost without it.